Hey.,My dear young & dynamic aspirants of IAS 2013/UPSC 2013? Are you ready to take up the challenges as most exciting INDIAN ADMINISTRATIVE SERVICES(IAS) through UPSC recruitment ? If it so, here is the information to your ready referance towards the best Referance Books for the preparation of GENERAL STUDIES for IAS PRELIMS/UPSC Preliminary examinations 2013. With the support of those books ,we wish you to get easy easy success in IAS PRELIMS 2013.
please have a look into the following. NCERT (+ 2 level) — Ancient India, Medieval India, Modern India. Sharma & Cotinho : Economic and Commercial Geography of India. National journal – Kurukshetra, Yojana etc. NCERT (+1 level)—Evolution of Indian Economy(I C Dhingra). NCERT : (10 level) : Science, (+2 level) : Biology. Government jobs in India – How to prepare for IAS exams ? Government jobs in India are seems to be more and more attractive than private sector jobs day by day.The reason for this,generally accepted by almost all, is the job security and job protection and the guaranteed retirement benifits . Not only by this,with the complete job satisfaction and by the wonderful recognition in the Indian Society , the Government jobs in India/Govt jobs in India or India government jobs are becoming more and more popular day by day. IAS …IAS ..The three letters are the DREAM letters of Indian youth. The three letters are the most power packed letters in India. The three letters shall only be deciding the FATE OF INDIA. Great.. Hey..Guys..welcome to the details of IAS and IPS exams or Indian Administrative Services Exams.Please follow the details of the TOP GOVERNMENT JOBS of All india jobs or All India G overnment Jobs as under. The IAS (Indian Administrative Service) was formally constituted in 1947, and is the premier service in India. It offers an attractive and challenging career. Fame and glamour are also associated with this service. Even though most people tend to think being the DM or Collector is the most powerful and glamorous post, The IAS holds power at all levels. It is the service that is meant to place people straight at the top of any government organization and not the district alone. inspite of all the political interference if you are a determined person and diplomatic you can achieve anything for your country. The IAS or the Indian Administrative Service, handles affairs of the government. At the central level, this involves the framing and implementation of policy. At the district level, it is concerned with district affairs, including development functions. At the divisional level, the IAS officers look after law and order, general administration and development work. 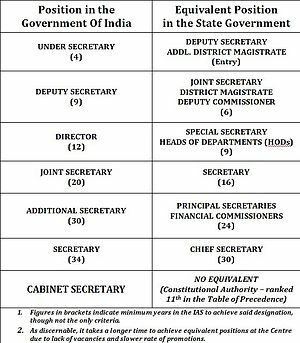 Members of the Indian Administrative Service hold various administrative posts like District Collector, Heads of Departments, Heads of Public Enterprises at the state level etc. They can also be posted on deputation to the Central Government to various posts. Being an ‘All India Service’, it follows the Cadre system. In this system officers are allotted to various state cadres and your service is allotted to that state. So for all practical purposes you belong to that state service and may be deputed elsewhere but you’ll always be recognized by your parent cadre. These systems though very useful tend to positively and negatively affect careers. The cadre system is allotted on a basis of lottery and the toppers of each state may get a chance to get their home states if they have opted for such a preference. All the aspirants of IAS (INDIAN ADMINISTRATIVE SERVICES) should one thing keep in their minds is that since the time between the Main Exam and the declaration of result of the Preliminary Exam is very less, it is strongly advisable to begin preparations of the Main Exam along with the Preliminary Exam. General Science; Current events of national and international importance; History of India; World Geography; Indian Polity and Economy; Indian National Movement; General Mental Ability. For this section, it is important to be updated in all fields. For History, Economy, Polity, etc, it is advisable to read Class 11 and 12 books published by the NCERT. Some books on the freedom struggle are published by the National Book Trust. For general knowledge and objective-type questions, refer to General Knowledge Refresher by O.P. Khanna. For General Mental Ability and current affairs, it is advisable to read The Competition Master regularly. One question that is often asked by students is about the subjects that they should take up. Since some subjects are scoring, students wish to opt for them. But one thing that must be kept in mind is one’s aptitude. If one has studied a subject since school and one is comfortable in it, chances of doing well in it are greater rather than taking up an unrelated subject which one may never have studied. Generally speaking, do not choose an entirely new subject in which you will have to work very hard. If the optional is prepared well for the preliminary and the same subject is also planned to be opted as one of the optionals, it is very useful and saves a lot of labour. Once you have decided to appear in the Civil Services Exam, preparations should start early. A look at past papers helps get an idea about the kind of questions that are asked. Over the years, The Competition Master has published solved papers which can be referred to. It may be advisable to join a coaching institute so that one keeps in touch with other students and discuss issues with them. It is important, however, to select a good institute. However, one can be successful by self-study also. Before initiating the preparations, a few things must be noted by the candidates. The choice of optional subject for Paper-II has to be done very carefully. The candidates must plan ahead of time. The optional subject for Paper-II should usually be the subject in which the candidate has either attained proficiency/higher academic qualification or in which the candidate feels at home. Another consideration is the performance of candidates in the said subject in the recent past. There are several subjects like History, Psychology, Sociology, Public Administration etc in which even the candidates not having special or additional educational qualifications have been doing reasonably well, while the subjects like Mathematics, Physics, and Engineering are considered to offer tougher questions and the candidates with exceptionally good preparation only may expect to do well. But this observation may not be taken as the universal truth. Moreover, the aptitude and proficiency of a particular candidate in a given subject also plays an important role in arriving at a decision. Availability and access to good and prescribed books is yet another consideration and often the candidates are also guided by this factor, particularly in smaller towns. Books for preliminary examination are available in plenty in common subjects but in case of specialised optionals like Mathematics, Engineering, Agriculture etc, one has to look carefully for good books which cover all parts of the syllabus. General Studies paper consists of questions on Indian Polity and Economy, History of India including Indian National Movement, Indian and World Geography, Current Affairs of National and International Importance, General and day-to-day Science, Mental Ability and Basics of Statistics etc. Questions on planning, budgeting, developmental programmes, latest issues of political and constitutional importance, panchayati raj, electoral reforms, natural resources, culture, growth of nationalism, Committees, Commission etc can be expected almost every year. Questions on Environment (not requiring subject knowledge but related to day-to-day issues) will also be asked. Emphasis normally are placed on the general aspects of the subject which every educated person aspiring to join the Civil Services as an officer, is expected to know. The fact that this paper needs special and thorough preparations need not be over-emphasised. The aspiring candidates are expected to have keen interest in the General Studies and are supposed to have a good amount of interest in current affairs. All the preparation starting from a scratch cannot be completed in the short period of 4 to 5 months and the candidates must begin preparations early. Regular and detailed reading of a good national newspaper, a standard competition magazine and a basic book on general knowledge is the essential pre-requisite. Those readers who still have two to three years of time left for becoming eligible to go in for Civil Services Examination must begin preparations now. The candidates who do not have enough background in the General Studies may have to put in harder effort to catch up with the others. Current Affairs and Current General Knowledge is covered well at competitionmaster.com. There are also quick revision notes on History, Geography and Indian Constitution. You will also find the General Knowledge section of the website useful. In addition, a good and basic book on Indian Constitution, latest plan document and budget/economic survey, basic books like NCERT books on Indian History and National Movement, World and Indian Geography and General Science are certain other books which can fruitfully supplement the efforts. A good backgrounder on major national and international events assists the fresh starters to understand the background of any social, economic or political event, enabling them to understand the details and developments in a better way. In addition, the candidates who have recently taken the examination may also be consulted. The candidates must bear one thing in mind. Exhaustive study of each and every aspect of the General Studies is essential. It would be wrong to presume that any single book would suffice. Every book has its strong and weak parts. It is, therefore, left to the candidate to consult as many books as possible, so that every aspect is studied in the required detail. Another important point is efficient time planning. The time available with the candidates for preparations is limited and it has to be intelligently utilised. The candidates must not waste the time unnecessarily by going into lengthy details of one particular aspect, leaving other important aspects untouched. Moreover, it is better to draw up a formal time table so that no aspects of both the papers is left unprepared. To prepare for Section II practice solving questions on Reasoning, Quantitative Aptitude and Objective English (especially the comprehension type questions) as much as you can. Competitionmaster.com provides you with some practice tests. There are various books in the market providing practice tests. Practice as much as possible for success in this section. Preparations for the Civil Services Mains Exam should start along with those of Preliminary exam. This is because there is much common ground for study, and there is little time for the mains exam if one waits for the results of the Preliminaries. It is a long haul and preparations should be done with persistence, over nine months to an year. One of the first questions that has to be answered is the choice of subjects. Here the choice should not only be with regard to your interests but also with regard to the study material available. It has been found that even science and engineering students take up subjects like history, sociology, anthropology, grography, political science, psychology and public administration because there is a huge amount of study material available, which covers the entire syllabus. Even if your branch of study is different, it is advisable to keep in touch with one of these subjects which will help you when you start preparations. Start collecting books and readings once you have made your choice. The next step is to make a time-bound study plan, which would include not only studying the subject but improvement of writing expression. This is done by writing down the answers to the questions asked in previous years’ papers. Show these answers to someone you know, like a teacher in your college or university, parents or friends. The study should be done according to the syllabus and also in the same chronological order as given in the syllabus. To study current affairs, it is essential to read one national newspaper. Regular reading of the Current Affairs sections of Competitionmaster.com will be very helpful. When you are studying the round up of national and international affairs, efforts should not be merely taking up the information but also to understand the issues involved. Go into the background of events. Get to know these issues and be clear about them so that you can answer questions on them. With regard to other topics, the books published by the NCERT are the best source of study. Take up the text-books for classes IX, X, XI and XII. However, just reading these books will not serve the purpose. What is essential is that the person taking up self-study must pick up past question papers and write down the answers to questions asked therein. A practice in writing is what is required to attempt the paper. Many students make the mistake of studying for hours but have no practice in writing down the answers, which costs heavily during the exam. The skill required is that of organising the arguments and making a coherent answer from the diverse material. One more thing that must be kept in mind is that the answers must be a little different from others and must have some extra bit that is missed out by others. This is not difficult if one has understood the issue in depth. One important aspect of the Civil Services Mains Exam is that the questions do not ask for mere information as a reply, but seek analysis backed with arguments from the candidates. Usually, one gets the impression that one knows everything but thoughts do not flow out naturally as one puts pen to paper. Hence, writing down the answers is an important aspect of the preparation. Another thing is that the candidate must carefully read the questions in order to make out what the examiner is asking. Having done that, it is important to organise one’s thoughts before writing and the sequence of the answer should be from the most important/potent aspect to less important aspects. If you do not have someone to show your answers, keep them away and after a gap of some time, read them again. You will discover many mistakes, which earlier you could not. Analyse the answers in order to improve them. This exercise of re-analysis of answers improves the ability to be precise. One of the important requirements of the Mains exam is that the answers should be crisp and to-the-point. While studying for the optional subjects, keep in mind that there is no scope for selective studies in the Civil Services Examination. The whole syllabus must be completely and thoroughly covered. Invariably, some candidates organise their studies in a manner that they study one subject thoroughly, with reduced emphasis on their second subject. It is imperative that equal stress be given to both the subjects you have chosen. It is also important to remember that the level of questions asked is of the Masters level examination. The questions have an added spin in order to bring out the grasp of the candidate with regard to the basic concepts of the subject. Hence, if you choose subjects in which you do not have a basic grounding, it would be advisable to start from simple books. After getting the grasp of the basic concepts, start with higher level study material. Here again, reflections on basic concepts and their application in real life is important. For best preparation and a success plan, it is suggested that the candidate make a habit of beginning his study by writing answers to three questions each day, one each from General Studies and two from optional subjects. Questions should be chosen from previous years’ papers and the answer writing should be preceded by study on the subject. Most candidates do not have problems with regard to English and Hindi examinations and are able to qualify in them easily. However, it is important to have a good working knowledge of the two languages. In order to improve this skill, pick up a General Studies book and translate it into the language in which you are weak. For instance, if you are weak in Hindi, try translating important essays on current affairs into Hindi which will not only improve fluency but also the general knowledge. Another way is to write letters to friends in the language that one is weak in. Geography: Class XII books of Geography (NCERT), a good atlas. Indian Polity: Introduction to the Indian Constitution. Indian Economy: NCERT and other books on Evolution of the Indian Economy. General Science: NCERT books on science, a science magazine or newspaper supplements on science. Current Events: A national newspaper, The Competition Master, newsmagazines. General Mental Ability: Do the Quantitative Aptitude published in The Competition Master, past test papers. History: India’s Struggle for Independence, IGNOU publications on Modern India. Indian Culture: Art and culture portions of history books, India Yearbook (culture chapter), Encyclopaedia on Indian Culture, Gazetteer of India, books on culture published by Publications Division and National Book Trust. Current Affairs: A national newspaper, The Competition Master, current affairs programmes on Doordarshan, newsmagazines. Statistics: Class XI NCERT book on Statistics. Indian Polity: Introduction to the Constitution, Parliament. Indian Geography: NCERT books on Indian Geography. Indian Economy: NCERT and other books on Indian Economy, financial newspapers, The Competition Master carries regular analysis of the Indian Economy. Science: A science magazine, supplements in newspapers. The final stage is that of interview. There are cases where students clear the preliminary and the mains but fail at the last stage. The secret is to start for preparations for the interview along with the written test. Develop the habit of debating and discussing issues with friends or parents. Listen to the current affairs programmes and learn to organise thoughts the way the participants do. Develop interests and hobbies so that you are able to answer convincingly. Understand the current affairs and the issues behind the events. Remember that the interview is not a cross examination but a natural but purposeful conversation. It is an opportunity to reveal the mental qualities of a candidate. The interview is not a test of specialised knowledge, as that has already been tested in written examination. The idea is to see the social traits of a person and his personality as suited to a career in the Civil Services. If a person gives the impression of being a bookworm, the chances of his selection are reduced. The candidate must exhibit an intelligent interest in events happening around him so that he appears to be a complete personality. Finally, there is a very frequently asked question about whether a candidate should join a coaching centre and if so, which one. Coaching centres are helpful in the sense that they develop a discipline of attending regular classes. An instructor may be available who can give an opinion about the answers written by a candidate. At the same time, the candidate will meet like-minded people with whom he can develop the habit of debating and discussion. However, the coaching centre must be chosen with care: the instructor must be erudite enough to be able to guide students. 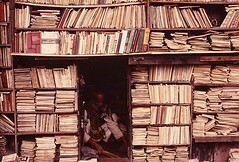 If he is not well read, the chances of guiding others would be diminished. It must also be remembered that preparation for the optional subjects must be done on one’s own, as it is unlikely that any coaching centre would be able to do justice to all the subjects. ……WISH YOU ALL VERY BEST OF LUCK…..